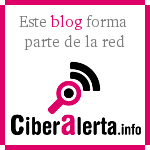 Campaña en Chile contra el cibergrooming « ¡Peligro: Cibergrooming! This entry was posted on 04/06/2009 a 9:40 AM	and is filed under Cibergrooming. Etiquetado: adolescentes, chile, grooming, informe especial, legislación, menores, niñas, policía, Pornografía infantil en Internet, sucesos, tv. You can follow any responses to this entry through the RSS 2.0 feed. You can leave a response, o trackback from your own site.